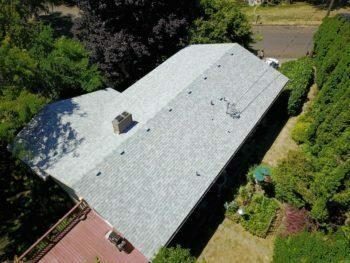 What is a house without a sturdy foundation, strong walls, and quality roofing in Vancouver WA? While you can do without certain furniture or electronics in the house, a home with old or damaged roofing or roof leaks is unlivable. Damage to a roof can compound quickly and cause significant problems for the whole home. Below are five reasons why the roof is one of the most important parts of the house, and why it is important that you pay close attention to your roofing and attend to emergency roof repairs as soon as possible. 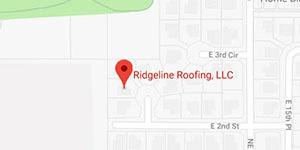 You can escape the harsh conditions and unpredictability of the weather if you are in the comfort of your home, and this comfort only exists if you are in a house with good roofing. One with poor roofing or leaks can’t be termed comfortable. Imagine the condition of your house with poor roofing after heavy rains. Think of the stress you would go through before you would be successfully able to get it cleaned up, only for it to rain again almost immediately. If the sun is unbearably hot, your house ought to shield you from the scorching rays of the sunlight. Extreme roof damage might mean the sun somehow manages to shine on you while you are resting on your sofa, but even less obvious damage can significantly reduce the insulating properties of your residence. However, with good roofing, without roof leaks and adequate maintenance, you don’t have to worry about suffering from the above, as you can be rest assured that your roof is there to shield you from whatever the weather might decide to throw at you. Try comparing a house with ideal roofing with one that has roof leaks. You would notice the former to be more ventilated and comfortable temperature wise. The way your roof is designed has a huge impact on the type of ventilation you experience in your house. With a room temperature that is comfortable, you don’t need to make use of appliances that may significantly increase your energy costs. For instance, it would be all right to do without the fan or air conditioning when the room temperature is comfortable. However, with poor roofing, there is little barrier between you and the outdoors. Air conditioning and heat can leak out, forcing you to use your appliances on higher settings and drive up the electricity bill. This is bad for your wallet and the environment in general. If you want to have that house people notice as they pass by, a house that makes people in the neighborhood hold you in high regard, then you have to get your roofing done right. A well designed and maintained roof has the ability to draw the eye in a positive way while a roof that needs repair significantly reduces your curb appeal. Curb appeal is the visual attractiveness which a house or other real estate property has when initially seen by a prospective buyer or a person standing in front of the property. While the curb appeal has to do with the overall outward appearance of the house, the roof being one of the most noticeable features of the house will, to a large extent, add to or take away from the curb appeal depending on how well it is being maintained. A house with roof leaks or an emergency roof repair that has been abandoned can pose serious health threats to the inhabitants. Rain getting in through the leaks and settling on the floor can cause your house to start breeding mold and mildew, which release spores that can have serious negative effects on your health when inhaled or ingested. Black mold in particular is known to be extremely toxic. In addition to posing health threats, if the mold and mildew spread throughout your house, it could cost you a lot of money to rid the house of it, potentially more than it would take to repair the roof in the first place. Mold and mildew often require multiple treatments and regular intervals, and when combined with the structural damage they cause, the cost can add up quickly. That money could have been spent on making your roof devoid of roof leaks and wear and tear. No person would willingly buy a house with poor roofing or an old roof that is in dire need of repairs. A well and beautifully built roof is a huge selling point of a house. As one of the first things every potential buyer would look at, the appearance of your roof has the power to attract or repel said buyer. Also, with a well-constructed and maintained roof, the worth of your house will go up. The increase in the value of your house due to the good condition of your roof can also help when you are trying to secure a mortgage loan. A house with poor roofing may not be accepted as collateral, since the value may be too low or the bank may have problems offloading it if you default. Now that you know why the roofing of your house is of utmost importance, you should endeavour to be extraordinarily vigilant with your roofing. Maintain it, patch up roof leaks, attend to emergency roof repairs as soon as they are needed, and most importantly, invest in the right roofing right from the onset.